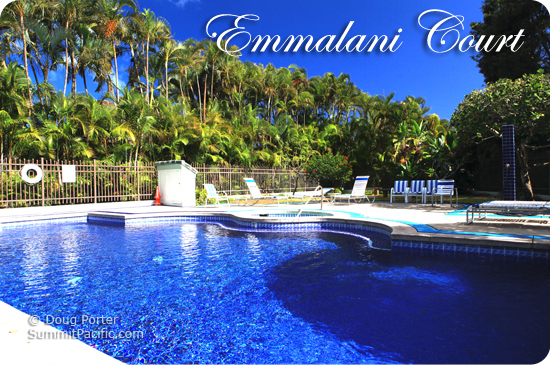 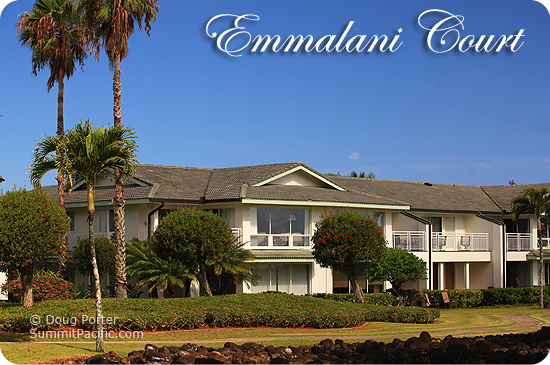 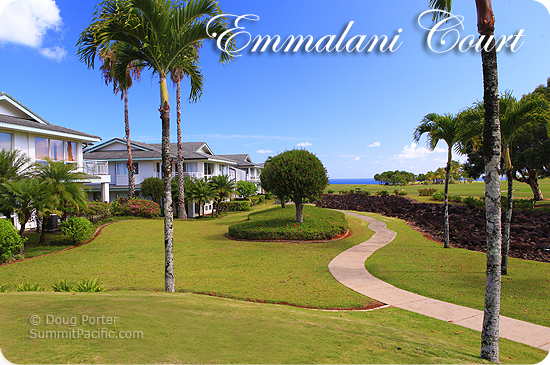 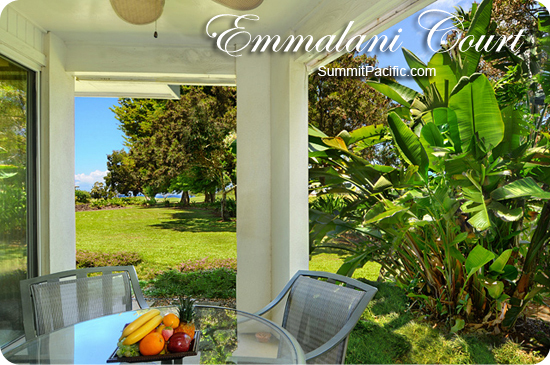 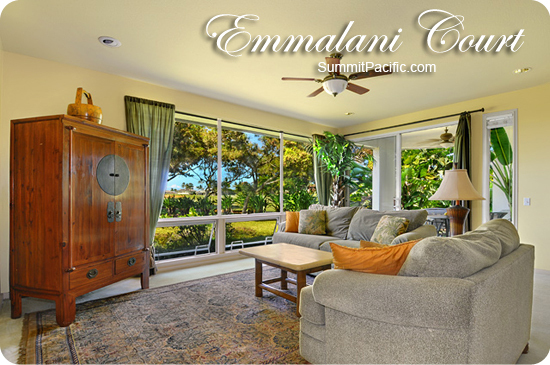 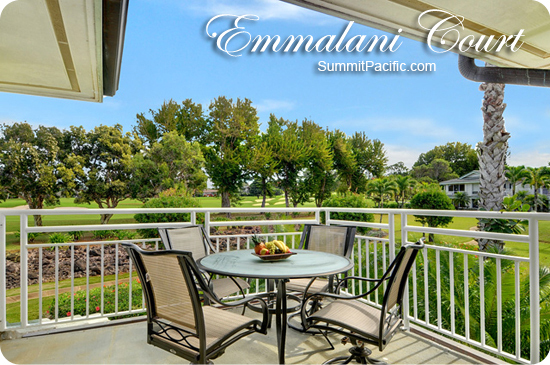 Emmalani Court features covered parking, a convenient location, a private swimming pool with jetted hot tub and a club house with Barbecue for the guests to use during their stay. 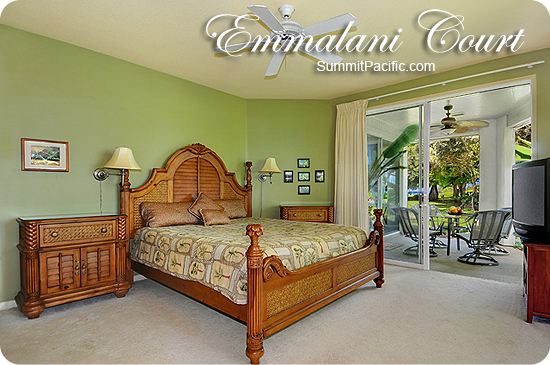 Princeville Location: For the beach goers, Hanalei Bay beach is a short walk from the condo plus there are 26 other beautiful white sand beaches less than 20 minutes away. 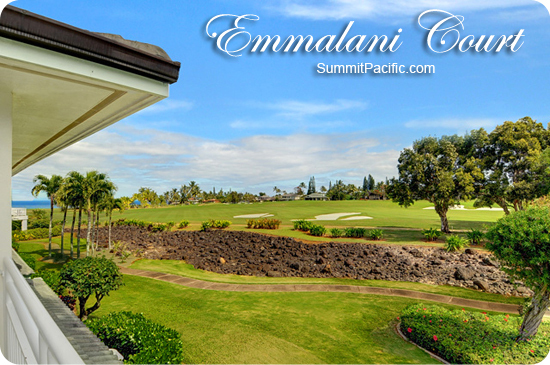 The golfers have access to 2 Robert Trent Jones world class golf courses, the Prince, ranked #1 in Hawaii and the Makai ranked #7. 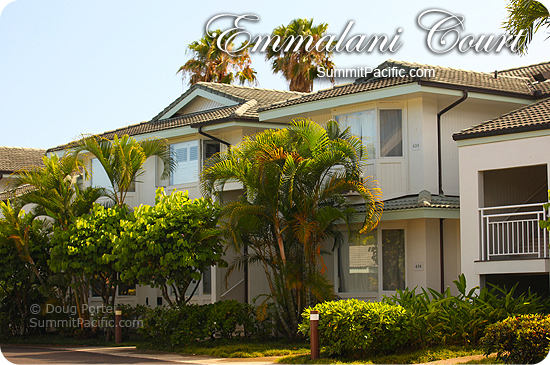 For the tennis buffs two great tennis clubs (Princeville tennis club and the Hanalei Bay Resort tennis club). 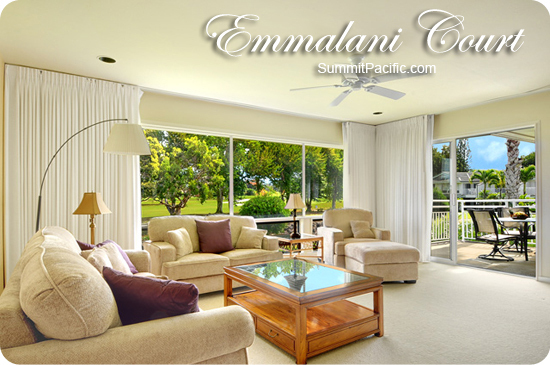 If you are one who likes to work out and have luxurious spa treatments the St. Regis Princeville Spa and Fitness center is for you.